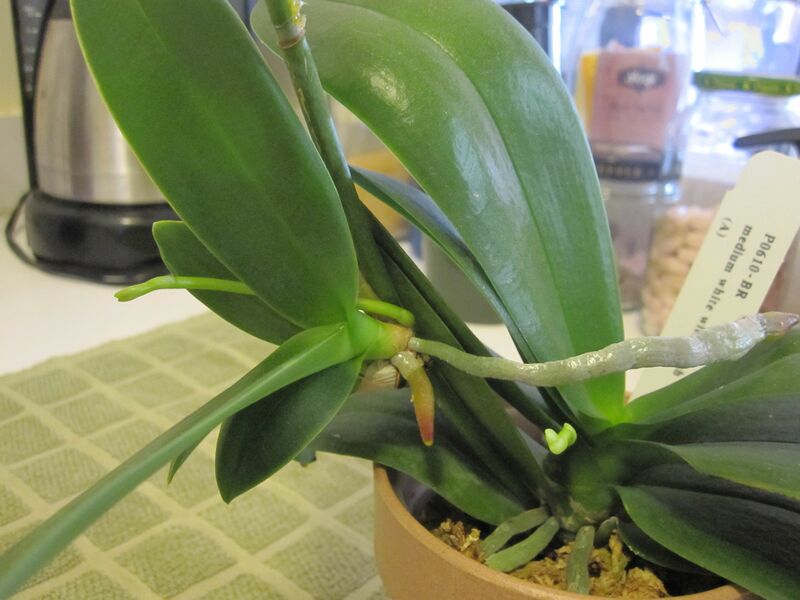 The last keiki that I removed had some decently long roots and, upon closer inspection, a spike. One thing to note is that I applied some cinnamon to the cut surfaces on each mother plant and each keiki. I’ve mentioned using cinnamon before because it is a natural fungicide and should help keep bacteria and nasty things from settling in. So, we’ll see how these guys do. Some advice that I learned after googling how to remove a keiki was that you should keep the newly potted keiki in a semi-shady spot and mist it to keep up the humidity level. I placed all four of these babies on the top shelf in my orchid room away from the glare of the sun. I’ll keep you up to date as these little ones develop! You go girl, I’m so proud of your babies, as for me I am battlying root rot and if that’s not enough a fungusa(spots on my dens and phils) I use mancozeb so let’s hope that helps. Any advise on what would really stop it would be very appreciated. BUT your little guys look ready for the world. Thanks!! To be honest I haven’t really had much experience with fungus so I don’t have advice on that. But it sounds like you have something that should help. 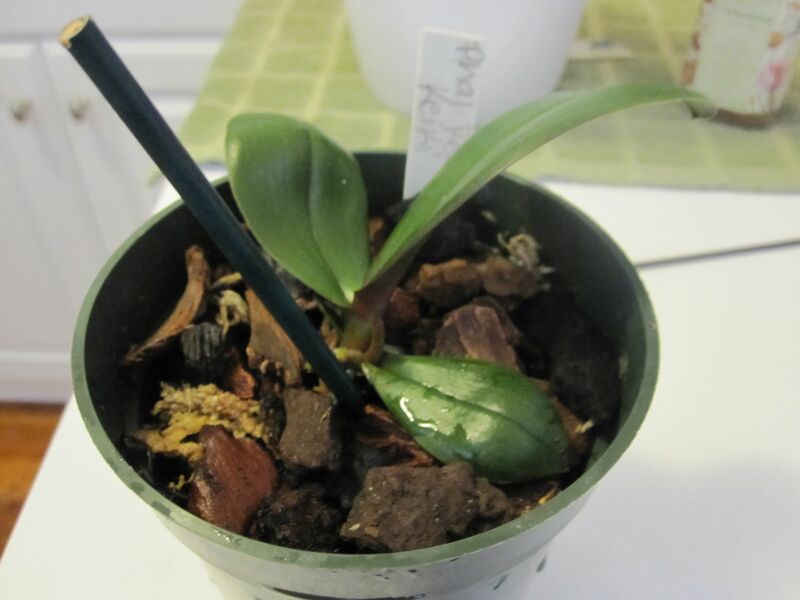 Maybe consider transferring your orchids to a pot with a different type of potting medium, especially if you have them in sphagnum moss. They may not be getting enough air circulation. Good luck with them! 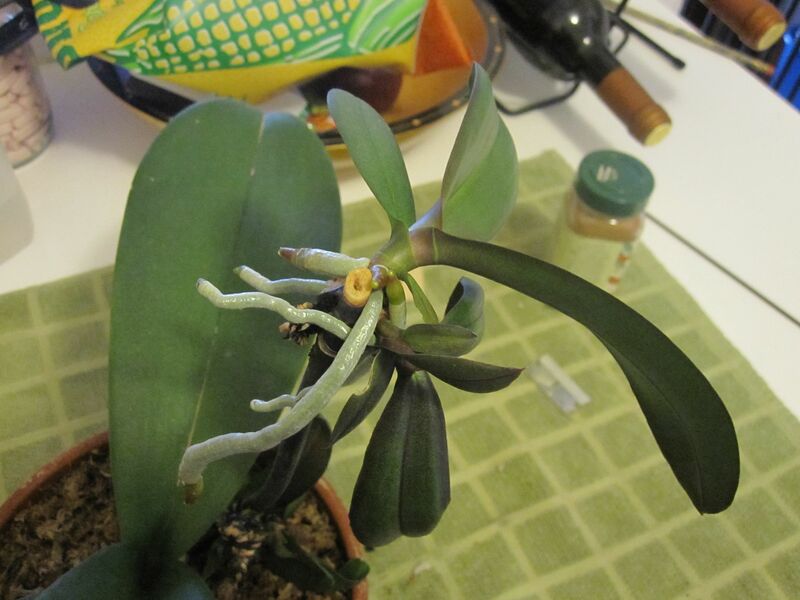 vellita – fungused plants almost always respond positively to increased air-flow – put a fan on them. Orchids like quite humid air, but they don’t like that air to be stagnant! If your roots are rotting, they’re too damp – cut down on the amount of water and/or consider repotting, possibly into something different (i.e. if you’re in sphagnum moss, consider bark; if you’re in bark, consider LECA). Good luck! I am totally impressed. Good luck with the birth of the keikis, Thanks for the info. Love the blog! And this is so timely. 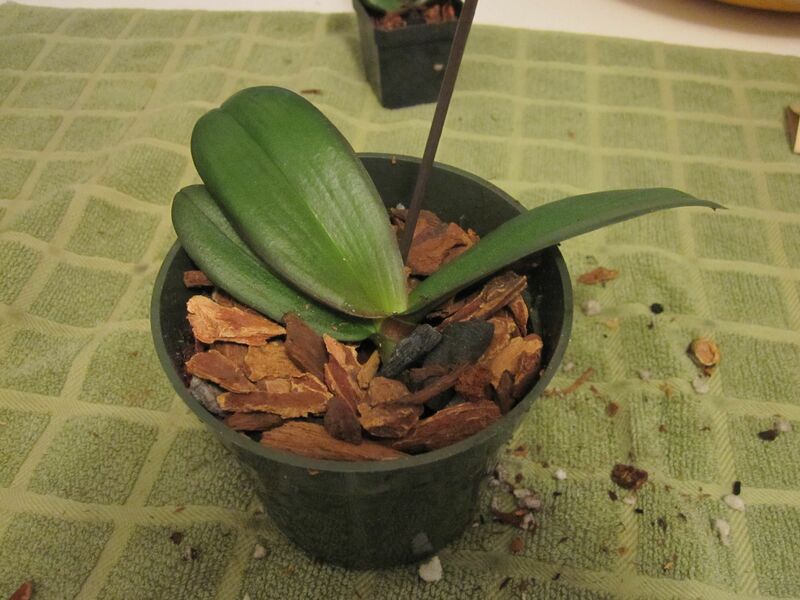 A phal I bought this summer was growing what I thought was a spike off the one that finished flowering, but as I have a full leaflet it looks like its a keiki. The plant seems healthy to me, but then I don’t seem to do well with indoor plants. 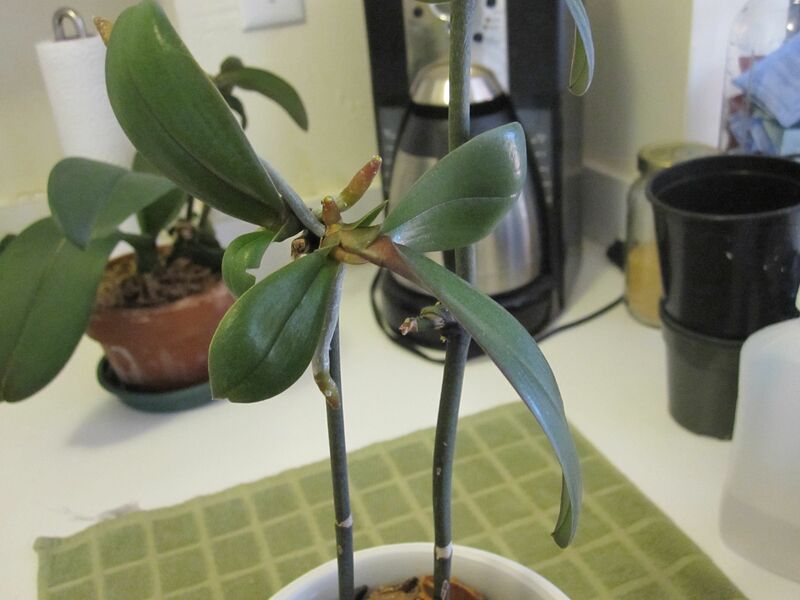 Before the keiki started it grew a new giant leaf and has sent out new roots? Here’s hoping I can keep mama and baby alive! Yours look great! 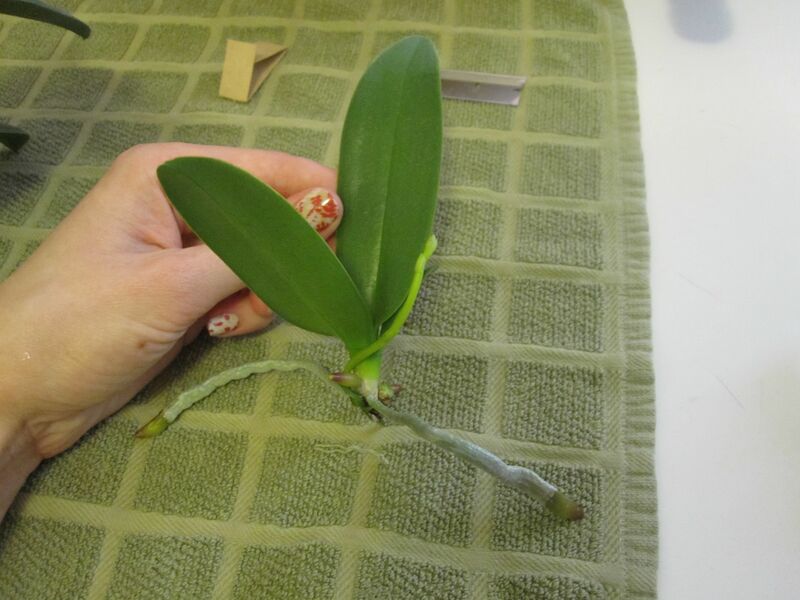 Well, it sounds like your orchid is in pretty good shape if it’s putting out new leaves and roots. That’s always a good sign. 🙂 And congrats on the keiki! 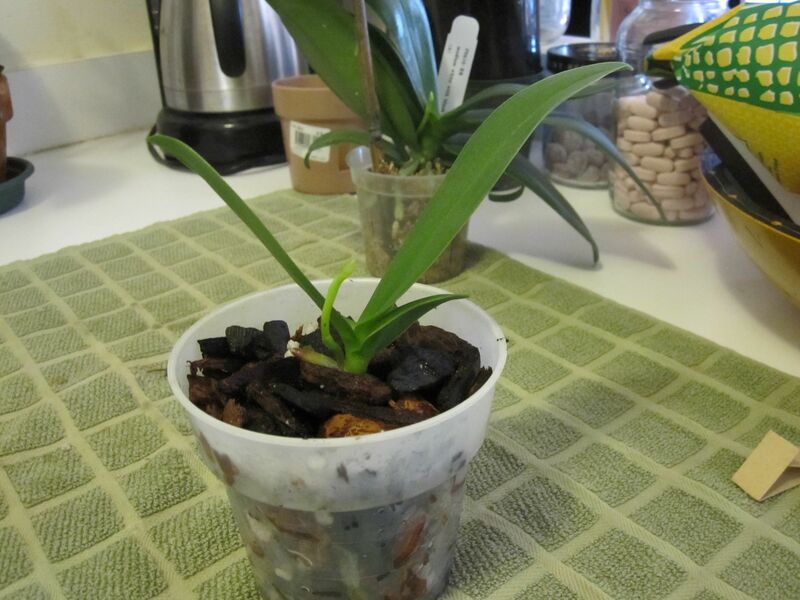 Once it has 2-4 roots that are at least 2-3″ long, you can remove it from the mother plant and pot it up on its own. Thanks for reading my blog, Christine! Thank You for such an inspirational and encouraging thread on your keiki project! It is amazing! 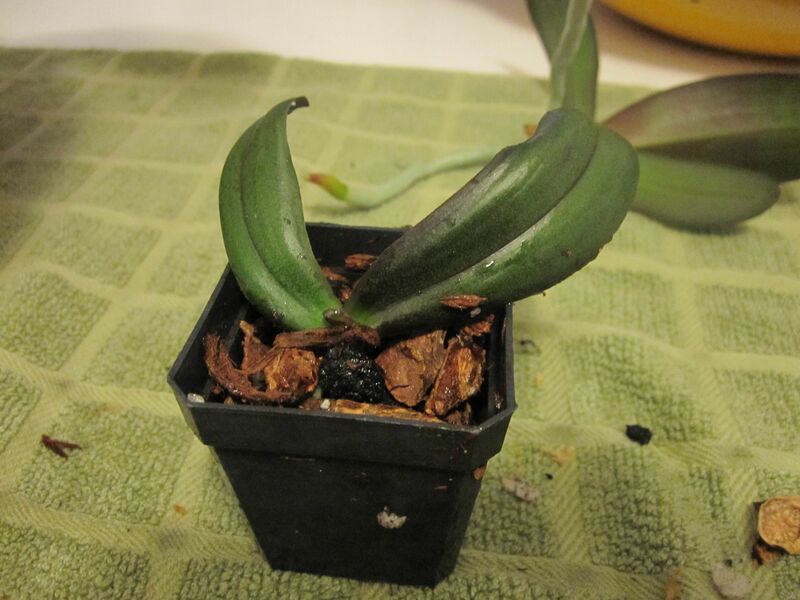 I have been growing my first phals for about 7 years now and it had made me think (and also a worry a lot!) for how long would they last. 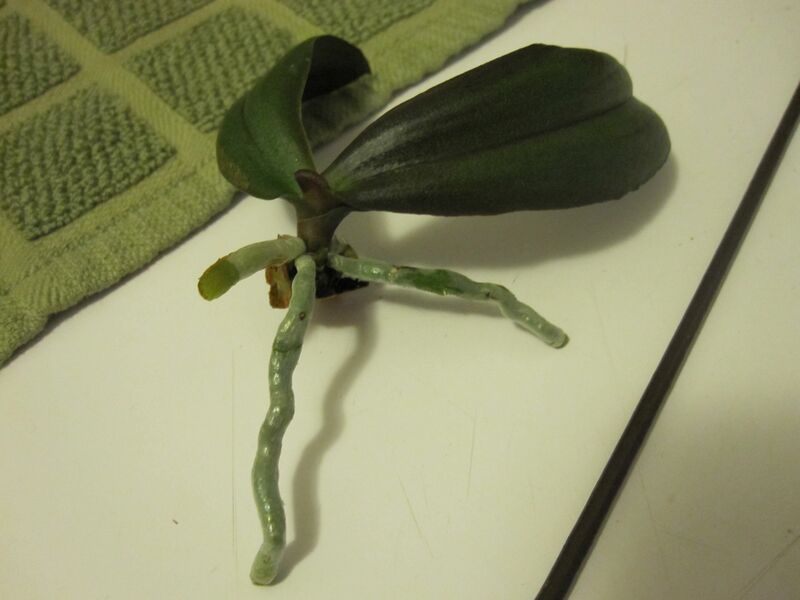 During that period (I have collected about 50 phalaenopsis plants now) I have had just a 2 keikis. Those are nice young individual plants now and blooming well. But as I said, I’m bit worried about decline of my first and dearest ones. Getting copies of them would be a great backup! And there you have it; everything is possible as you have proved with your experiment! Well done! I definitely will try it if I get a hold of this mystical paste! I will try to find it first from European market and if it’s not possible, try to order from this Canadian vendor. Hi and thanks so much for the kind words! I hope you’re able to find some Keiki Grow Paste. I ordered mine from Carter & Holmes on Amazon.com, but I’m not sure if they still have it or if they ship outside the U.S. Good luck to you and I hope you’re able to find it! P.S. Your photos are great! I think I’m in love with your Dtps. Purple Martin. Now I want to get one of those! I’m so glad I found you!..One of my phals has two small kiekis ~ the first I’ve ever had. One has a tiny root about 1/4 inch long. I will continue to watch them and hopefully be able to successfully help them become small plants of their own. Mother plant is not looking too healthy, but I’ll just nurse these two as long as I can. Thanks for the good info! You’re welcome and thanks for commenting. 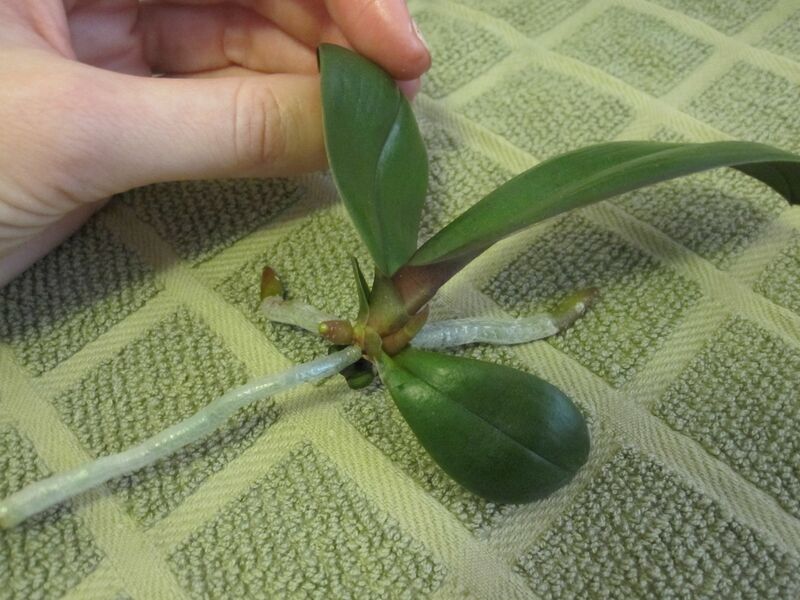 Good luck with your orchids—I hope you have success with them!